There are a lot of things on television these days. Whether you subscribe to the Basic channel package, or the Expanded Plus—there always seems to be multiple things on that you want to watch. Even if it’s a show you’ve never even seen before, you might want to join in on all the water cooler talk the day after. Who doesn’t love discussing the latest Deadliest Catch on Wednesday morning? I know I do. The Connected-Home DVR is great. Live TV is quickly becoming a thing of the past as we continue to watch shows at our convenience. I even found out most of the die-hard Packers fans I know start watching 90 minutes after kickoff, just so they can fast forward through all the commercials and huddling. Crazy, I know. But many of us may have found ourselves in a pickle–I want to record too many things at once! I have to make a decision to cut out Law and Order: SVU to stay current on Modern Family and Psych. Tough calls! I’ve got fiber service and in the past, I’ve been able to record 2 HD streams at once, and then continue watching live TV (if I was watching on one of my wireless set-top boxes). If I were tuning in on the TV with DVR box, I was limited to just 2 HD streams at one time. That can be very limiting at times. Enter a new day where recording is much more plentiful. As a customer whose house is fiber-fed, I can now record and watch four – yes you read that correctly, FOUR high definition combined streams at once. Record three, watch one live…or maybe record all four at once and take to the deck to watch the birds fly by. Whatever suits your fancy. But with this increase in capacity, you’re certain to never miss anything you want to watch, catch up on, or try out for the first time. If you’re a copper customer, you have the increased ability with this upgrade to move up to 3 HD streams at once. Not too shabby. When I was testing this out yesterday, the best part was, this increased bandwidth use didn’t cause any issues with my regular experience. 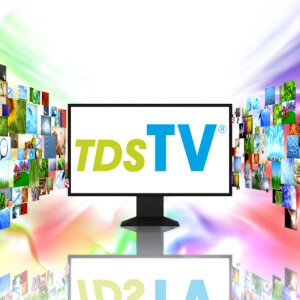 What I mean is, I could be recording three things in HD, still browse through the guide, watch/pause/rewind/fast forward live TV and I still had the same immediate response I’ve grown accustomed to with TDS TV. And in case you Internet hounds were wondering, I still was pulling great speeds using the internet as well. If for some reason you’re concerned about that though, you definitely won’t run into any problems with the 300Mbps service we’re offering to fiber customers. One Response to Full Stream Ahead!